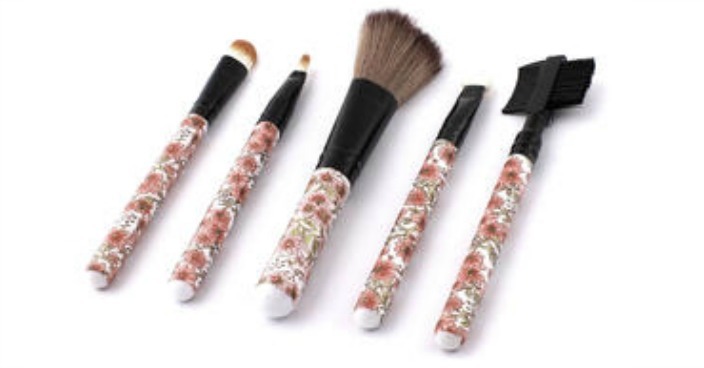 Unique Bargains Flower Pattern Makeup Brush Kit Just $10.25! Down From $21! You are here: Home / Great Deals / Unique Bargains Flower Pattern Makeup Brush Kit Just $10.25! Down From $21! Sears has this Unique Bargains Flower Pattern Makeup Brush Kit on sale for just $10.25 (Reg. $21)! 5 in 1 cosmetic set including: Blusher Brush , Eyebrow Comb, Eye Shadow Brush, Lip Brush and Concealer Brush. Great tool for ladies to do makeup anytime and anywhere, especially for travel or outdoor use.